There has been much debate over and over, about whether the 600 transmits the 20KHz & 40KHz frequencies, even though they cannot be used independently as in the 800. My measurements show it does indeed. 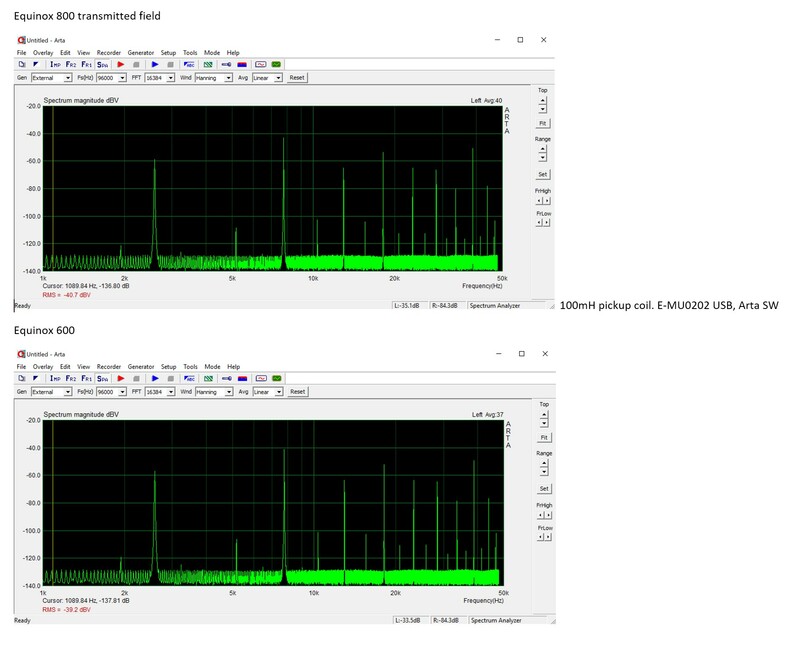 The graphs show an identical spectrum output from both the 600 (my backup) and 800.